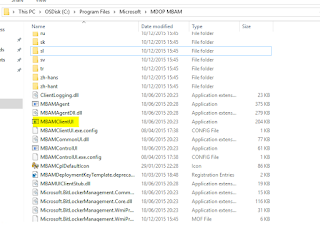 Since updating my SCCM TS to Windows v1511 I have spent hours pulling my hair out trying to get MBAM to prompt the user for PIN with no avail, all my previous Windows 10 (pre 1511) worked fine, so i was trying to figure out what had changed. 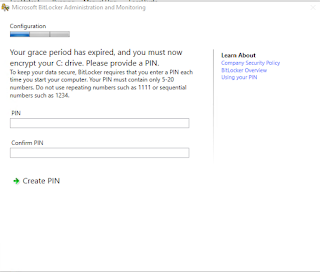 This policy setting allows you to configure the algorithm and cipher strength used by BitLocker Drive Encryption. 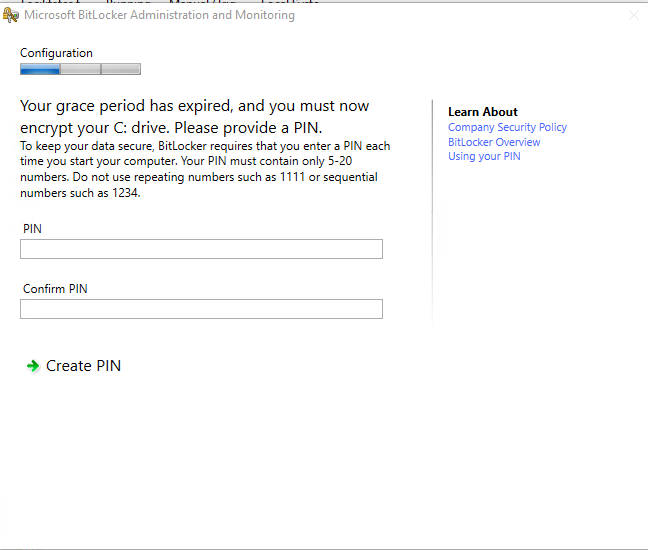 This policy setting is applied when you turn on BitLocker. 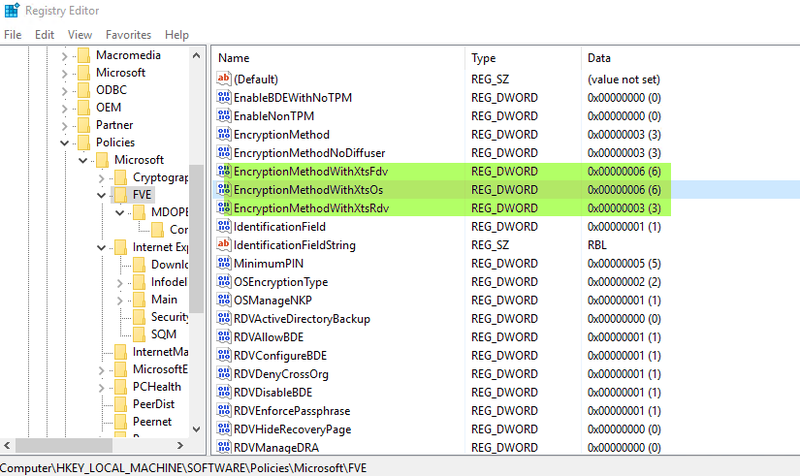 Changing the encryption method has no effect if the drive is already encrypted, or if encryption is in progress. 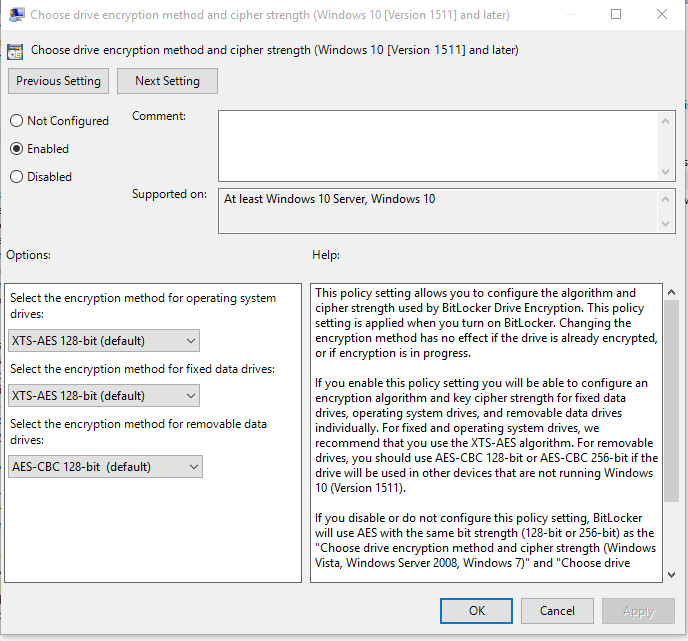 If you enable this policy setting you will be able to configure an encryption algorithm and key cipher strength for fixed data drives, operating system drives, and removable data drives individually. 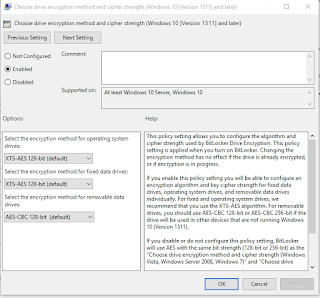 For fixed and operating system drives, we recommend that you use the XTS-AES algorithm. 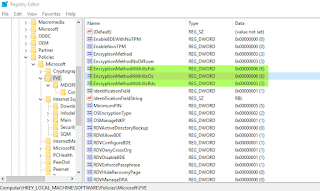 For removable drives, you should use AES-CBC 128-bit or AES-CBC 256-bit if the drive will be used in other devices that are not running Windows 10 (Version 1511). 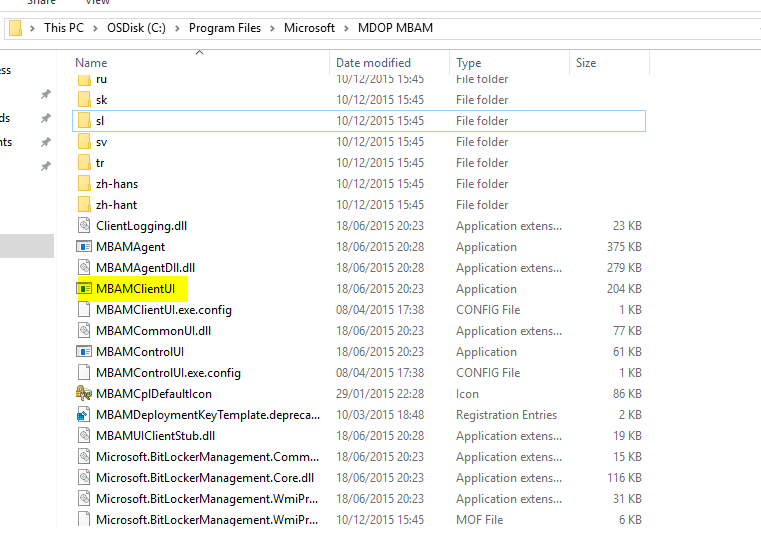 MbamClientUi.exe would not run at all, even manually it would open within Task Manager then disappear..
For further info on Bitlocker/MBAM Steps in your task sequence see my previous posts.